*The MAYI Bangsar outlet does not offer yoga for children. MAYI Yoga Academy (MYA) is a leading Yoga organization in the nation that illuminates the complexities of human potential through integration of the ancient art of Yoga and today’s modern science. Their organization has been spearheading the movement of Yoga for the past 12 years. With their relentless effort in providing continuous learning and knowledge on human technology, they have created a dynamic system of physical-mental-emotional functioning that leads to a positive transformation. 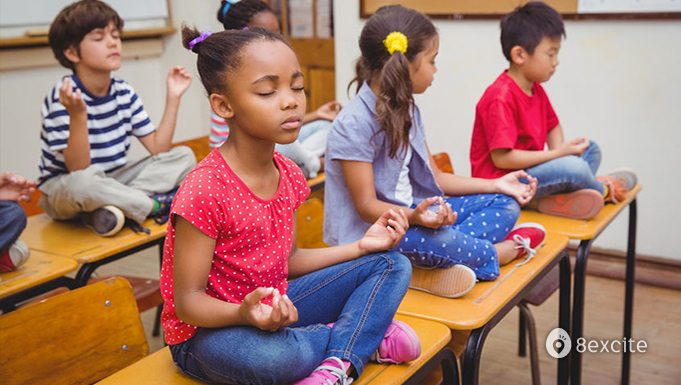 Super Yoga Kids (SYK) is an organization that specializes in researching and developing well structured children yoga courses and programs from age 2 to 17 years. Valid on Saturdays and Sundays from 9am to 7pm (excluding Public Holidays). Reservation required and must be made at least 24 hours in advanced. Call +603-2260 5322/03-2260 1323 for booking with Name,Date of Reservation,and your 8excite Voucher Code. Subject to availability. Not valid with other offers, vouchers, promotions and/or discounts.